Today I want to introduce about Xoi (Sticky rice) – a daily, delicious but unforgettable memory that attach to most of the Vietnamese student life. It is common to see pupils or students hurry to school with a pack of on-the-go of Xoi. 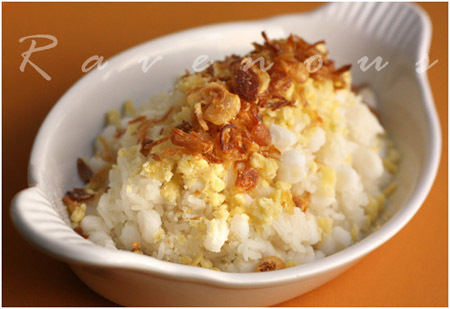 In general, Xoi is a sweet or savory Vietnamese dish made from glutinous rice and other ingredients. Another great thing is that Xoi is surprisingly cheap, just 10 000 to 15 000 for a dish, suitable for any backpacker in Danang with limited budgets but still want to be a foodaholic. In Danang, there are three common types of Xoi: Xoi Ga – Sticky rice with chicken, Xoi Bap – Sticky rice with corn or Xoi thit – Sticky rice with simmered pork and quail eggs. 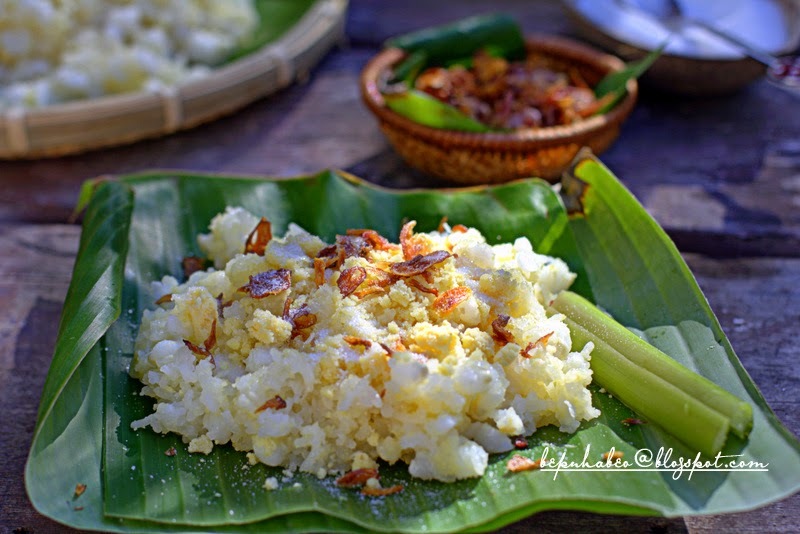 Basically, the dish includes steamed glutinous or sticky rice then added on top with other ingredients. Xoi Ga (Sticky rice with chicken), chicken is cooked then tear by hand into small thin pieces, mixed together with Vietnamese coriander, salt, pepper and fried onion. All the mixture then is placed on top of the rice. A little bit of chili sauce is added for more flavor and a sprinkle of salt may be added at the end. The final dish glitter the yellow color of Chicken fat, a simple but delicious dish. Xoi Bap (Sticky rice with corn), on the other hand, is a sweet dish. The dish is made from steam sticky rice, corn and red bean. Then sugar, fried onion, smashed cooked mung beans, smashed grill peanut and Julienne coconut. I still remember the day when I waking across the road to buy the Sticky rice with corn from a old woman hawker every morning, the sticky rice always was spit into 2 part, the dark one (from dark bean) and the white one (from sticky rice) and mix with corn. The best Sticky rice with corn usually is wrapped in banana leaf which add the aroma to the dish. 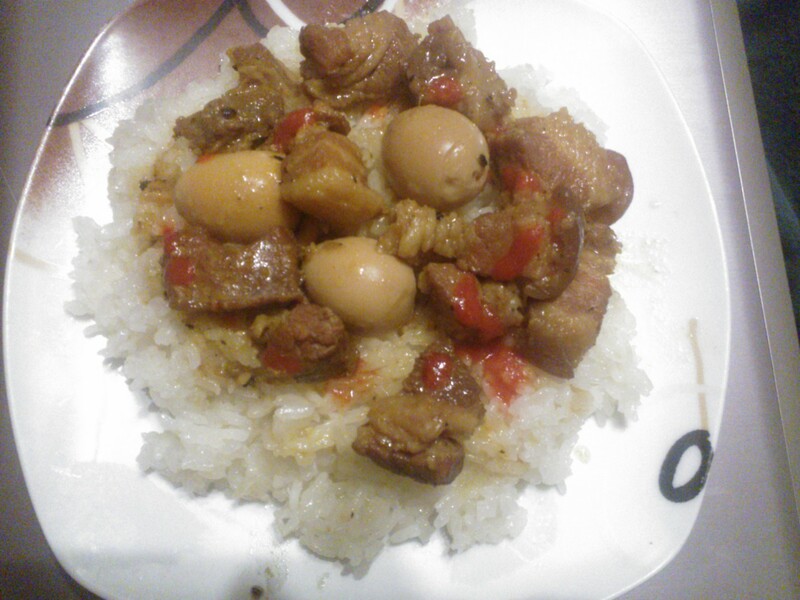 Xoi Thit (Sticky rice with simmered pork and quail eggs), this time, simmered pork and quail eggs is added. On top is a bit of fried onions and chili sauce. Broth from simmered pork and quail eggs may be added on demain for more flavor. Whether it is sweat or savory, Xoi commonly go on with a pack of hot or cold soya milk. A simple, convenient but healthy breakfast that is hardly forget.